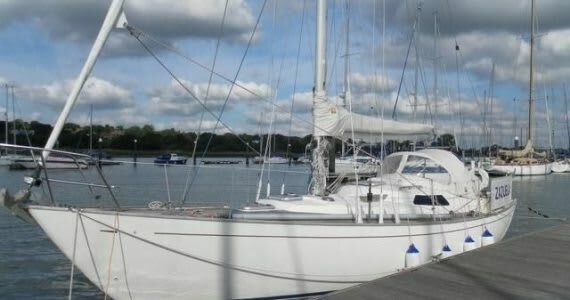 Annie Jo the Biscay 36. The design and style of this fantastic long-keeled, Bermudan rigged cruiser is very much that of a wooden yacht built in GRP. 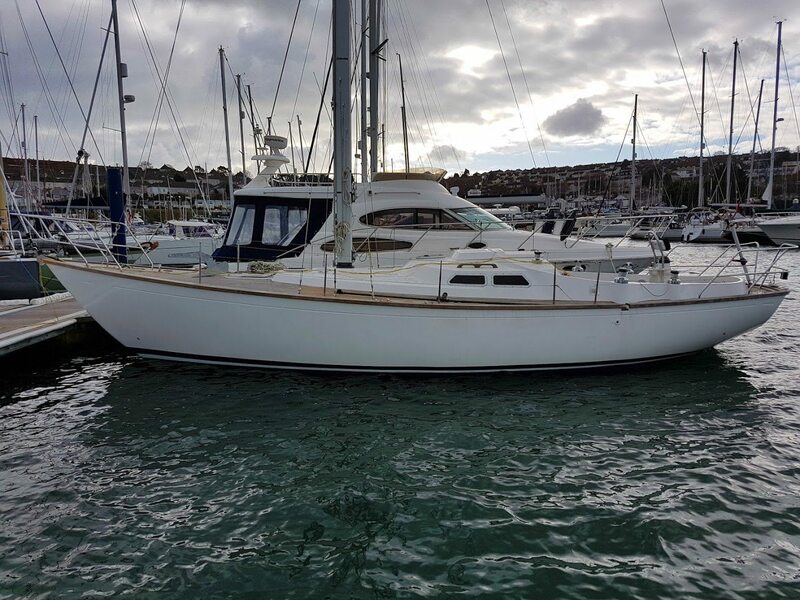 She was designed by Alan F Hill to include the heavy-displacement cruising characteristics many yachtsmen regard as essential: easy motion, directional stability, good sea-keeping and an easily handled but flexible and powerful rig. 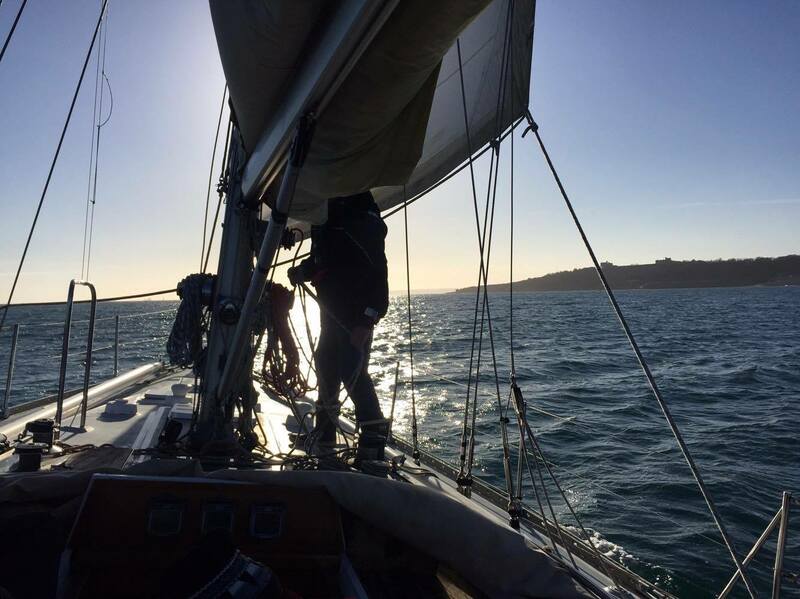 She has a generous galley and a large chart table over the head of the quarter berth and is ideally suited for weekend of weekly cruises in the South West of England, Northern Brittany and the Isles of Scilly. 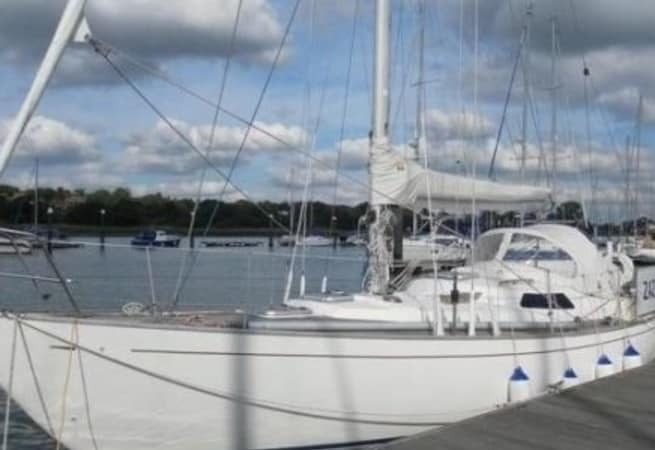 She is available for skippered charter, prices starting from £780.00 per week.